I had a great Halloween. The theme was the movie Inside Out. 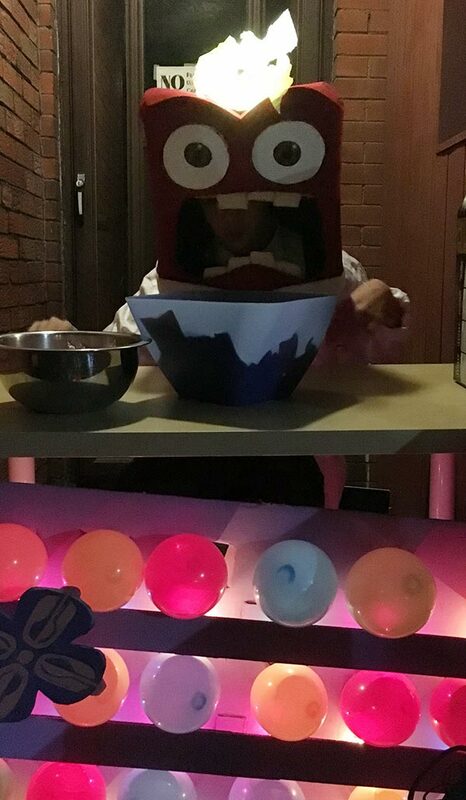 I was dressed up as Anger. My dad built the head out of foam and glue. He also made flames come out of Anger’s head using a fan, a light and some tissue paper. 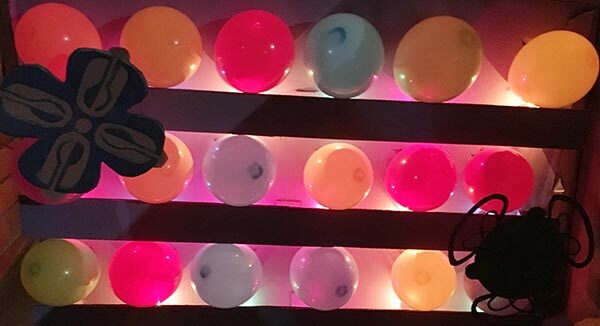 My mom built shelves for the memory balls, which were made out of balloons. She put some lights to make them glow and paddles made out of construction paper. While I was handing out candy we put on the soundtrack to Inside Out. One of the kids trick-or-treating was dressed up as Disgust. When she saw the balls she yelled, “CORE MEMORIES!” which was fun. I stayed out for an hour and a half and had a good time. 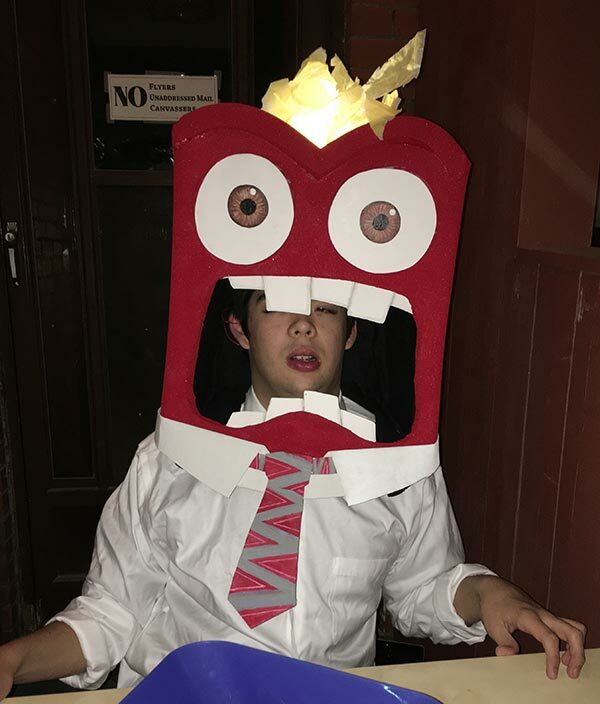 That is one awesome costume, Jon! I’m so impressed! What a costume! Anger was one of my favourite characters in the movie, I think you made an excellent choice. I’m sure you have made some wonderful core memories for the trick or treaters, well done!